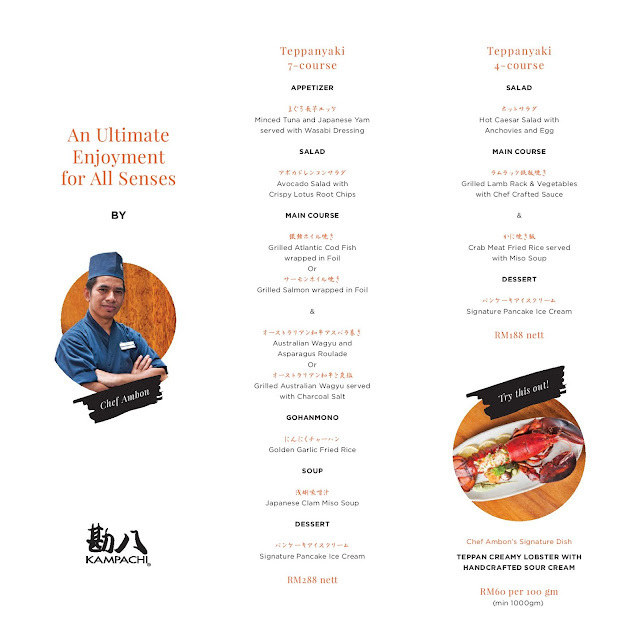 For a sensory and sizzling dining experience of Japanese cuisine, catch Chef Ambon Ruslan’s fiery teppanyaki action at Kampachi from now till August 15. Available at Kampachi at Plaza 33 or Kampachi at Troika, diners are in for a sumptuous treat of teppanyaki set menu from Chef Ambon. Renowned for fine Japanese cuisine, Kampachi has always been a popular dining hotspot for authentic Japanese food. With several outlets spread out in Kuala Lumpur, Petaling Jaya and Penang, each Kampachi restaurant is set in a class of its own. 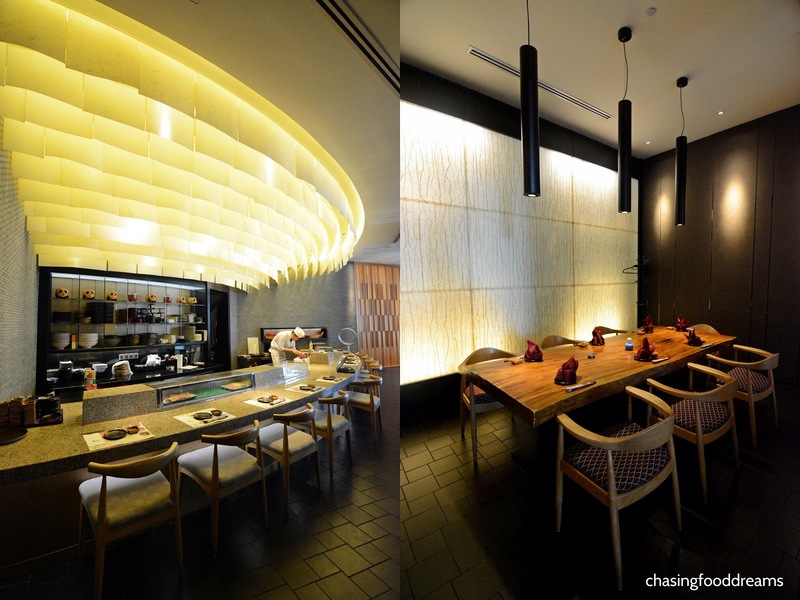 Gorgeous modern and contemporary ambiance injected with Japanese design and materials, Kampachi offers a Japanese fine dining experience with elegant ambiance and exquisite Japanese food with an amazing list of Japanese sakes and wines. Kampachi at Plaza 33 is beautifully spacious and elegant. Diners can opt to dine in the main dining area, sushi bar or one of the many private rooms available. There is a teppanyaki corner as well where Chef Ambon will showcase his teppanyaki culinary actions. With two Teppanyaki set menus available, one can select from the option of savoring 4-courses or 7-courses set menu. To personally catch Chef Ambon in action, reservations are highly recommended. Chef Ambon kicked off the teppanyaki course with some flaming action as well as his showcase of the art of juggling and flipping utensils. Impressive and a great ice-breaker to start the meal, Chef Ambon has certainly mastered this skill well. I could barely take my eyes off his notable skills! One can also opt to savor the teppanyaki with the extensive list of sakes ad wine available. For our first course, a chilled sake of Benten Musume Kimoto Junmai was recommended. As we watched our first course being prepared on the hot teppanyaki, the aroma of the dish was certainly tantalizing the air and our nostrils with much delight. Chef Ambon’s take of a hot salad was unique as we watch our lettuce being charred on the hot grill. Beautifully presented, the Hot Caesar Salad with Anchovies and Egg tasted as lovely as its presentation. The smoky charred aroma on the crisp lettuce, now warm, was such a delightful take on a salad. A thick and creamy Caesar house dressing married the warm lettuce with fluffy scrambled egg, anchovy and generous shavings of parmesan cheese deliciously. For the next dish of Grilled Salmon wrapped in Foil, Chef Ambon seared the salmon before wrapping up all the ingredients in a foil to be baked on the teppanyaki. The aroma that first escaped from the package was heavenly. Fragrant with a citrusy note, the salmon was moreish with soft and creamy leeks, tangy cherry tomatoes and the light citrusy soy-based sauce. While the fish was nicely cooked, I prefer mine slightly under done as a matter of personal preference. Chef Ambon proceeded to then sear two neatly trimmed lamb racks on the hot grill for the next course. Cooked perfectly, the Grilled Lamb Rack & Vegetables with Chef Crafted Sauce was delicious and succulent in every bite. Served with sautéed vegetables and mushrooms, the lamb had a lovely smoky aroma which is further enhanced by the rich sauce. Do let Chef Ambon know your preference of lamb doneness just like I did. We had the lamb paired with warm artisanal Fusozuru Junmai Nigori sake. This unfiltered sake is simply marvelous on the palate. A cloudy appearance enhanced the creamy note with light sourness that lingers beautifully in the mouth. This sake paired so well with the meatly lamb rack. To end the savory courses, the Japanese Clam Miso Soup hit all the right spots of much comfort pleasures. The essence of the clam paired so well with the miso, making the soup deliciously moreish. The clams were also tender and yummy. Together with the Crab Meat Fried Rice, our teppanyaki meal was pretty much faultless and pleasurable. A solid breath of charred and garlicky notes, the fluffy rice was well-studded with sweet crab meat and egg. The finale of Chef Ambon’s meal was his Signature Pancake Ice Cream. Dessert was superb! Thin pancake enveloped a block of vanilla ice cream filled with crunchy bits and finished with whipped cream and strawberry was the perfect ending to our teppanyaki affair. Our dessert was accompanied by Yamada Jyuro, Japanese plum wine that has a juicy fruity plum sweetness. Chef Ambon’s Teppanyaki is available for lunch and dinner with options of 7-courses (RM288nett) and 4-courses (RM188nett). This promotion is available till 15 August 2018. 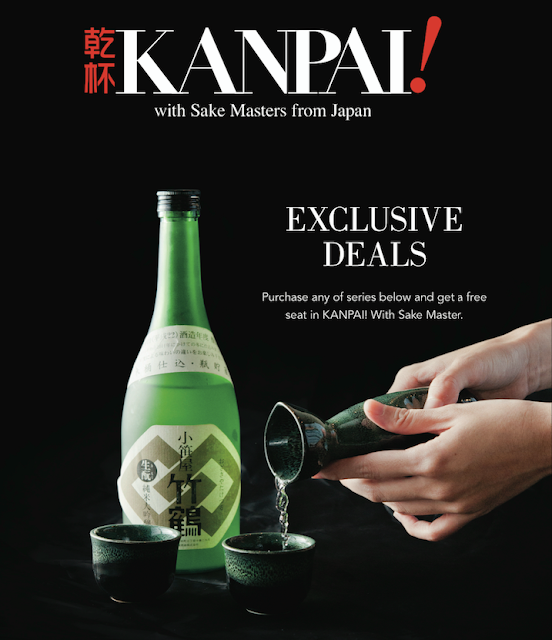 DO also look out for Kampachi coming Kanpai! with Sake Masters from Japan, taking place on 3 August at Plaza 33. It is an exclusive Drink-All-You-Can sake event with some of the finest artisanal Sake and delectable mini-buffet for pairing. Only downsides here was that I’m not sure if they were expecting such a crowd as they did not have nearly enough servers and sometimes it would take a really long time for service guy to come. But at event space Atlanta they tried to keep a smiles on their face.